Apple cider vinegar gets a lot of love at The Whole Journey, and today we are discussing it again, this time in a supercharged recipe, FIRE CIDER! We're in the middle of the cold season, and many areas around the country are being plagued with the terrible flu. Fire cider has been a staple in many nutritionists and herbalists’ medicine cabinet as it is seen as nature’s natural flu shot since the 1980’s. Fire cider has so many benefits even beyond keeping the flu at bay, including boosting our immune system and increasing our digestive fire so we can properly break down food. Fire cider provides very similar immune-boosting benefits to that of elderberry syrup; fire cider can be diluted with water or tea and be taken when you are feeling under the weather. However, the benefits of fire cider go way beyond cold and flu season, it can be considered as a preventative measure while you are healthy and additionally, it can be taken to promote and stimulate healthy digestion and enzyme production. You’ll want to add the recipe to your collection after reading of all the wonderful benefits. What makes fire cider so unique? Raw apple cider vinegar (ACV) is the base of the fire cider recipe. Apple cider vinegar is made by crushing organic apples with yeast, causing the sugar to ferment and turn into an alcohol solution. Live cultures of healthy bacteria are added to the solution, creating more fermentation and converting the solution into acetic acid, the main compound found in vinegar. Often when purchasing raw and unfiltered ACV, you will see it contains “the mother”, this means it includes hundreds of different beneficial bacteria and enzymes. This beneficial bacteria and naturally occurring enzymes help strengthen the human digestive system and regulate proper pH within the body. 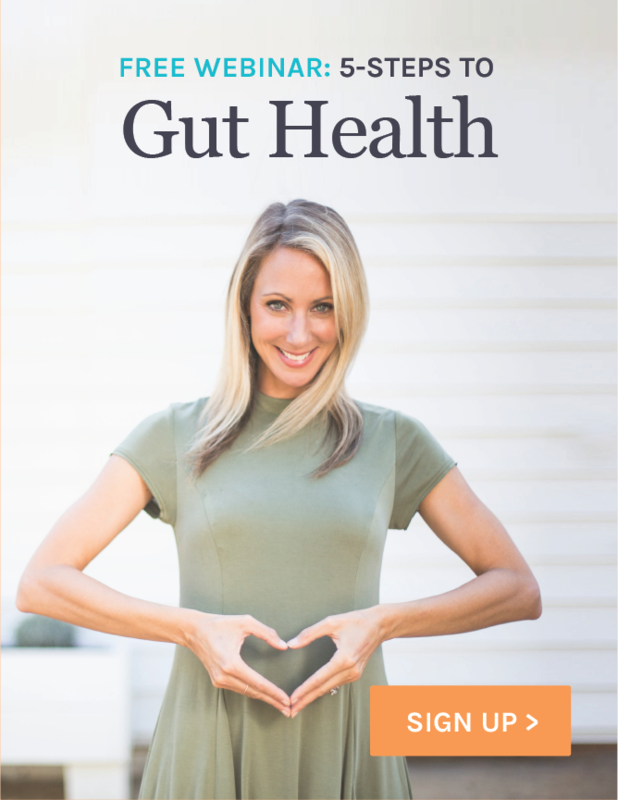 This can be incredibly helpful when we are struggling with bloating after meals, have sluggish regularity, and consuming highly acidic foods such as meats, alcohol, and sugars. Multiple studies have also confirmed the use of apple cider vinegar improved insulin sensitivity by over 30%, and therefore reducing blood glucose levels. This is great news, as so many people often suffer from elevated blood sugars. Onions are bacterial magnets! They are so powerful against circulating viruses and bacteria. Onions are naturally high in sulfur and contain anticancer and antibacterial benefits along with prebiotics. Prebiotics help feed already existing healthy bacteria in the colon. Ginger is a potent anti-inflammatory and antioxidant herb. There are many medicinal benefits of ginger; it can be very powerful when struggling with stomach pain, bloating, gas, morning sickness, and a loss of appetite. Ginger is also a natural motility agent, meaning it helps move things along in the digestive tract. This helps us detoxify and eliminate on a regular basis, which is crucial in today’s toxic world where we're supposed to be eliminating 2.2 lbs of toxins every single day. Garlic is an antifungal, antiviral, and antimicrobial herb – which makes it great for both colds and the flu. It’s commonly used in the treatment of Candida and small intestinal bacterial overgrowth (SIBO). Garlic also has healing properties, which can strengthen the immune system and help fight off bacteria. The active component of garlic is the bulb, called allicin, which allows your immune system to shut down any circulating bacteria or viruses before it is too late. Horseradish is a root vegetable that is often used in many recipes. The active constituent is the root, which has antimicrobial efficacy against both gram-negative and gram-positive bacteria. Horseradish is naturally rich in fiber and many vitamins and minerals such as vitamin C, potassium, calcium, magnesium, and zinc. Horseradish can naturally lower elevated blood pressure by regulating the movement of fluid between cellular membranes. Jalapeño peppers can be an optional ingredient if you do not like or tolerate spicy foods; however, we feel it gives a nice kick to the cider. The active component in jalapeño peppers, capsaicin, provides jalapeños all of the wonderful medicinal benefits such as antibacterial and anticancer properties, is a rich source of vitamin C and is high in antioxidants to help clench free-radicals within the body. Jalapeño peppers are so powerful; multiple studies are showing how they can inhibit the growth of e-Coli and other bad bacteria which can affect your health if given the chance to grow and multiply. Plus, they improve circulation, allowing your body’s own natural healing process to function more efficiently. Manuka honey is monofloral honey that is made by bees pollinating the manuka plant, which is native to New Zealand. Raw manuka honey has powerful antibacterial properties and has been shown to boost the immune system. It is important to purchase manuka honey only from New Zealand to be sure you're receiving all the wonderful medicinal benefits. This recipe includes so many different powerful spices as well as strong medicinal vegetables. It is important to allow fire cider to mature for at least two to four weeks. In a mason jar, add ginger, horseradish, garlic, and onion. Add jalapeño and lemon juice and zest as well. Press down all vegetables in the jar before adding apple cider vinegar. Fill the rest of the jar full of raw apple cider vinegar, until everything is covered with apple cider vinegar. Place the lid on and put in a room temperature area for two weeks to four weeks. Once complete, shake the mixture well and strain through a thin-mesh sieve. Add in Manuka honey and store in the fridge up to 8 weeks. Serving Size per Day: one tablespoon diluted in 6 oz. of water and work up to 3 tablespoons for full dose. This elixir is a great way to incorporate the immune boosting benefits of fire cider with the powerful anti-inflammatory herb, turmeric. This healing recipe can be paired with any meal or served as a delicious bedtime snack to keep your blood sugar stabilized and naturally cleanse your body during deep sleep. Heat milk on the stove, add rest of ingredients to pot and stir. Serve Warm. Incorporating fire cider as a dressing can be a fantastic way to increase your stomach acid while also aiding in the digestion of the rest of your meal. This dressing is great over a leafy green salad or paired with a cruciferous-based dish. Mix in a mason jar and serve over a salad of your choice. Not interested or don’t have time to make your own fire cider? No problem, here’s our favorite brand on Amazon to keep stocked. Let us know if you have made fire cider and experienced how powerful it truly is! If you have not already, check out this Cider-Roasted Vegetable dish, try using fire cider in place of the apple cider, for an extra healthy kick! As it continues to ferment on the counter do I need to release any pressure after I seal the jar. In the video it appears that you sealed the lid to finger tight seal. I am definitely going to make this for myself and my husband and also as a gift for my MIL who gives me homemade yogurt whenever she makes a batch. I am excited to try it. Very interesting that it can help with insulin resistance! Hi Valorie, Awesome to hear! We love fire-cider, and especially making it now as we start to transition into fall.. I am extremely sensitive to any type of spicy ingredients. Is there a good recipe that does not have heat to it? (I know this is called “Fire Cider” but anything spicier then catsup is too hot for me and my mouth will break out in blisters! )I will pass this on to my boys who don’t mind spicy foods! Thank you for your help! I’m totally passing this on. I’m all about trying to stay healthy naturally and so are my parents, my sister is slowly coming around to it. I have candida, adrenal fatigue, and a hypothyroid condition. I’m taking 60 mg. of WP or Armor Thyroid. What is the protocol for me? Do I get rid of the candida first. I noticed that there are a lot of recipes with fruit in them. Hi Christa, Just love the fire cider recipe, but cannot get fresh horseradish what can I do about this? HI Susan, While fresh is best, if you do not have access to it, you could try bottled horseradish. We hope you enjoy the recipe! I am wondering how big a deal it is to leave out the pepper? Always see this ingredient in Fire Cider, but I have to avoid nightshades so I haven’t delved into making it. I also ask the same question as saw below. Is Fire Cider considered fermented? Is this technically a fermented product? I just know for some people they cannot handle fermented products well. Thanks. Hi Kristin! Thank you for your question. This fire cider recipe contains raw apple cider vinegar which in itself is fermented so the end product is fermented as well. I am just curious about turmeric absorption,they say without red pepper turmeric cannot be absorbed so does this mean if your going to consume turmeric you should add in red pepper otherwise your body won’t absorb the turmeric, is that correct. ? Josphine, it’s not red pepper, it’s black pepper and what it does is -it boosts the turmeric absorption by 300%. On its own turmeric is still absorbed, it’s just boosted by the black pepper. Don’t worry if you use turmeric on its own, it will still do the thing. I have made Fire Cider and consumed it for years. I use a variation of the Rosemary Gladstar recipe. My recipe is a little different. I add 3 cinnamon sticks (Blood sugar stabilizer), a 1/2 to 1 dozen cloves (powerful antibacterial) and a sprig or two of rosemary. I do not put the Lemon juice or zest in but I drink a warm lemon water, vinegar, collagen, and honey drink in the morning. I use red pepper flakes and some red pepper. I store mine in the basement in a dark jelly cabinet. I use a plastic lid on it because of the vinegar. (the metal lid can react with the vinegar) When I am in the basement doing things, I shake it from time to time. After one month, I bring it upstairs and drain all of the liquid through cheesecloth making sure to get all the juice out that I can. I take the herbs and leftover stuff and I dump it in my garden…for compost. I add one cup of local raw honey. I leave it on the counter in a plastic bowl until the honey combines well in the liquid. I drink 2 ounces daily. If I get sick…which is rare, then I drink 2 ounces every few hours through the day until I feel better which is usually a day or two. I store my Fire Cider in the refrig because I like the fire cider when it is cold but I do not believe that it is necessary. I usually start a new batch a week or two after I start drinking the current new batch. One batch last 5 to 6 weeks when you are just using it for a maintenance. I use a gallon size canning jar. I am basically making a double batch and use 32 ounces of vinegar. Hi Linda! Great question. The honey is used to sweeten the fire cider and as you know, Manuka honey has the most healing benefits, but you can use any honey you have on hand to sweeten it. Thank you for your reply, Stacey! Hi what can I do if I have a positive mediator release response from a blood test for onions? Can I jut leave that out? Yes, Debi, just omit the onions for your case. I’ll be making this really soon! Thank You! Can I ask a question please about the Onion being a magnet for bacteria – and Christa puts them all around, under her bed and in the cabinets, etc. Should we be slicing the onion in half or do we just take the onions out of the bag and put them wherever? Also, how often should we replace the onion with a fresh one? PS: I Love this blog. I Love you girls. I Love learning these things. I’m Very Grateful that you share So Much Priceless Information with us. Thank You. Thank you so much for your kind words, Jennie! Christa uses sliced onions in a bowl or on a plate and replaces them when they turn brown. Can you substitute dried ground turmeric in the fire cider recipe? Hi Andrea! Yes, you can use dried turmeric if you don’t have access to fresh turmeric. For this recipe, about one Tablespoon should do the trick. I take probiotics, eat extra citrus fruits, take charcoal, ummm, use my mineral drops…..I have many things I do to prevent a cold. 🙂 It usually works!! Hi Em! Yes, you can drink it everyday. Please see the recipe in the blog for the serving size details. Living in Minnesota with the cold this will be a great addition to the flu/cold battle for this spring as the temperatures are in constant fluctuation. Thanks again for another great recipe to keep us healthy! Can you use fire cider while pregnant?! Hi Lauren, Since this recipe uses only real food it’s fine to have while pregnant as long as you aren’t sensitive to any of the ingredients. Hello, thank you for all of your great recipes. What size bottle of ACV did you use? Hi IB! For this recipe we used a 16oz. bottle of ACV to cover the vegetables. Enjoy! Yes! Yes! Yes! I’ve had it! I love it! I know an herbalist who makes it so I buy it from her. She also puts diakon radish in hers. I want to try making it myself so bad! There’s still time right!?! Oh and I have used it in salad dressings too cause it tastes so good! Hi Amy! You can drink fire cider all year round as an immunity booster. Hi Gina! We used a 16oz. bottle of ACV for this recipe. So glad I ran across this. Do you think as an antiviral this would be good for someone with chronic Epstein Barr (EBV)? Hi Lonni! As long as you aren’t sensitive to any of the ingredients in the recipe it would be great to incorporate into your diet. Thank you for the Fire Cider recipe and instructions! How long is the shelf life once it’s refrigerated? Hi Julia, This Fire Cider recipe will last up to 8 weeks in the refrigerator. Christa, I just noticed that you’re expecting!!! Congratulations!!! I wish you would announce these things!😉 May God bless you and your husband. She already did, many months ago. Love, love, love this! It was a great tutorial and loved seeing the two of you in action! I’ve had homemade versions of Fire Cider before, but never made my own! It’s time! It does look pretty! Hopefully I’ll do as nice a job as Stacy preparing my ingredients. 😉 Thanks for a great tip, tutorial and recipe. Thank you, Teresa! It’s so good to connect with you here. It’s really hard to mess this recipe up and since your ingredients won’t need to be “camera ready” you’ll be just fine. However, I’m sure yours will be just as beautiful. We would love to see a photo of your finished product so if you want to share please send it to us at [email protected]. Hi Monique! You can start with one Tablespoon diluted in 6 oz. of water and work up to 3 Tablespoons for the full dose. Oh how I wish I would’ve had this recipe sooner! I’ve ordered all the ingredients and am looking forward to trying it. Thank you! Do not get your hopes up. We were taking this everyday and still got the flu. The worst of our lives. I thought it was just a fluke but our friends that were also faithfully taking this everyday as a preventive got the flu as well. Thanks for your comment, Dee! Fire cider is an immune boosting tonic and certainly not a cure all. We are sorry to hear you all got a bad case of the flu this year. Christa did as well and it kept her down for weeks. Hope you are all feeling better now. Fire cider is the BEST !!! I used to make it in college , many , many , many moons ago to stay healthy and have made it over the years ! It works and is amazingly effective . A traditional recipe passed down to generations for a reason . And it taste amazing !! We love it too, Juliana!